If puzzles that lay flat are getting a bit old, then why not try one that you can build upwards! Now, with this brilliant Firemen Magnetic Puzzle from Janod that's exactly what you can do. A team of firefighting elephants, on their way to the rescue, is assembled vertically using nine magnetic wooden pieces - if you put the wrong two together the magnets won't connect. Brilliant for puzzlers who want to take their play to another level, it's a wonderful, unique and exceptionally engaging gift. The magnets are all safely hidden inside the blocks, making this a really great activity for even the littlest of puzzlers. 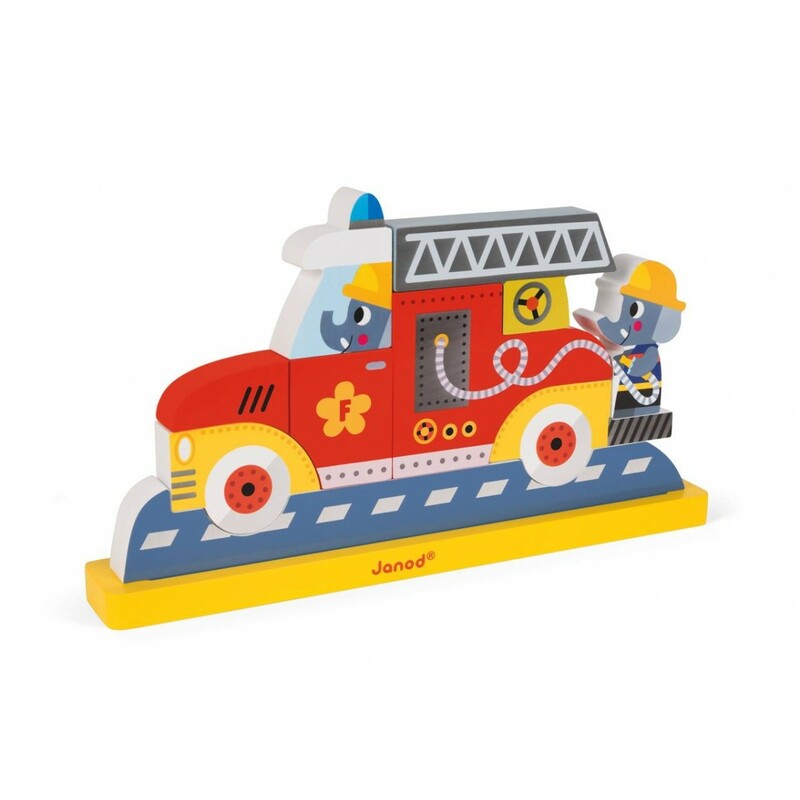 The firefighting elephants are very cute, so the puzzle looks really cool sitting on a bedroom shelf. The puzzle comes in a stylish clear fronted presentation box, making this a really high impact gift at a great price.